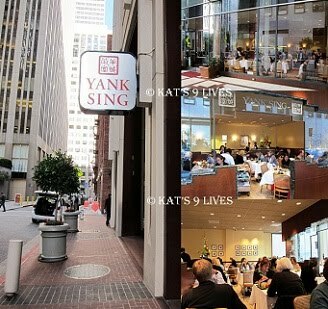 Kat's 9 Lives: Yank Sing : The Best Dim Sum In San Francisco? I Think NOT! Yank Sing : The Best Dim Sum In San Francisco? I Think NOT! This place is way overrated and EXTREMELY OVERPRICED! I blame my fellow blogger friends for talking about this place because it got me curious. 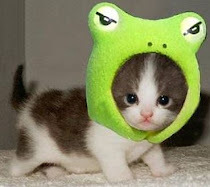 It's also my own fault for being such a curious Kat! Since I was taking the Muni out to The Sentinel for my Corned Beef Sandwich, I thought to myself that I would kill two birds with one stone. I took it upon myself to map where the closest Yank Sing location was and walked on over since I already paid for the Muni and should make the most of it. Big mistake!! Tucked away in an alley was Yank Sing. The building looked nice but the vibe of the area was a little off... That should have been my first sign. The staff were sort of friendly. Mostly the servers walking around with the Dim Sum items were nicer, most likely to tempt you to buy what they had! lol The first thing I got was the Fried Sweet Rice Dumpling that is 4 for $9. I ordered most of the food before I peaked at the menu... apparently living on the dangerous side! @_@ The dumpling was fine but nothing special or worth the price. The Fried Shrimp Roll was the next item I ordered. These are very typical and normal dim sum dishes, but here it was 4 for $11.20. It was nicely fried but I was a little turned off by the yam or sweet potato stick they added in. There's already too much starch in the dish and adding more just took away from the flavor. It is probably also a ploy to plump up the roll without putting much shrimp inside. Since someone mentioned that Yank Sing was on their list for Xiao Long Bao, I had to order some for myself to see if they are worth the talk. Sadly... NO! This I believe was $11.20 an order. I think this is the MOST I have ever and will ever pay for XLB. Darn myself for not looking at prices before I order. This was not worth the price. Sure the skin was nice and thin but there was no flavor! =*( They were juicy, but I didn't get that mouthwatering flavor from the remnant juices. I am spoiled by all the wonderful Asian food in So Cal and they are all better than the stuff here. For less than $5 I can get tons of great juicy and tasty XLB in So Cal. Even Ding Tai Fung, which I don't really like, is cheaper than here. Yeesh! The meat was a little rough in texture for my liking. Sadly there wasn't any soy sauce around for me to douse these little suckers to add more flavor. My greediness won out for the day and I fell pray to their taunts. The servers probably saw me with $$$ signs in the eyes. When they first asked if I would like to order their signature Honey Baked Sea Bass for $17.50 I said no. Then they came around with the trays and I saw the fat cut... I gave in and said Yes! I LOVE sea bass and it looked tasty enough so I caved. Alas, this had some promise but after the outer layers there wasn't much flavor in the rest of the fish and there was barely any sauce for me to add more flavor. Some parts of the fish was tender and some were just so-so. Overall this dish was probably the best of the day but definitely the most pricey. Normally you can get this nice cut of sea bass for 1/3 the price and make it at home easily. Even though I knew my bill was getting pretty steep, I couldn't stop myself from trying one typical dim sum dish. 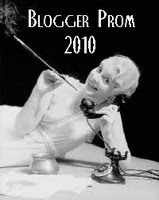 In my mind, I already knew that I would never be back and this would not be a glowing review. After a few rounds, the Pork & Shrimp Siu Mye (their spelling) came around and I grabbed an order. Four pieces for $5.60 was again pretty steep and they didn't even look that tantalizing. The flavor was just okay and nothing to write home about. I personally prefer my super crowded $2 and under plates of dim sum in San Gabriel. Even the Siu Mai you buy frozen in 99 Ranch probably tastes about the same.